Email marketing sells, there is no doubt about that. For the past decade, email marketing has topped the ROI of digital marketing channels. Therefore, small and large businesses should be investing a significant amount into email marketing. The challenge is, that for you to sell via email you need subscribers, and this can be the most difficult aspect of email marketing. You can’t simply buy contacts for your email list. This is against several regulations across the world and can earn you a significant fine. Buying email marketing lists is also highly unprofitable with many bought lists containing outdated, inaccurate or just plain made up data. Also, those records that are accurate are often uninterested in your products and will unsubscribe or rate your email server as spam that can affect long-term success. Therefore, attracting website visitors to subscribe to your mailing list is the key to earning long-term success for your business. So here are five ultimate tips for converting visitors into subscribers. One of the main things you should be doing for your website visitors is to ensure they are getting something for their contact details. This could be something like an ebook, online guide, free sample of your product, discount or perhaps daily news update. When visitors think they are getting something for their contact information, they’re happier. It seems like a fair deal. If it’s a discount on products they’re already considering purchasing, it can seem like an even better deal. Your call-to-action is the most important aspect of your email marketing subscription process. It needs to be visible on your website and have all the right words so it entices visitors to click on it to complete the process. For placement, it’s better to locate the call-to-action button somewhere on the left-hand side of the screen. This has a higher chance of being spotted and acted on by visitors to your website. In addition, you should ensure that your call-to-action is written so that it calls the visitor to act immediately and it should include a verb. The best subscription rates happen when you have a landing page. This landing page should be dedicated to one offer and be geared to getting the visitor to click on the call-to-action to receive a reward for their time. The biggest advantage of landing pages is that they can be really tailored to specific audiences and SEO keywords. Therefore, the more landing pages you have the higher the traffic to your website and the more subscribers you’ll attract. Don’t forget to get your visitors to share your landing pages, deals and downloadable content with their social media contacts. Every time your content is shared it creates a link back to your website that encourages others to visit your site and even better, helps improve your SEO. Social media sharing also helps with trust factors, meaning buyers are more likely to purchase from you than to purchase from a competitor with no online reputation. Whether you love them or hate them, there’s a reason why pop-ups or modular subscription pages are heavily used online; they convince people to subscribe to email lists. They can be activated on a number of conditions including: page entry, after so long on a page, or on page exit. This can be really good for highlighting how useful your expertise is and for offering free content like downloadable guides. However, these methods can be annoying and there is some argument about whether Google penalises websites that use pop-ups for something that isn’t necessary (like cookie notifications). Email marketing offers the best ROI of all digital channels and that’s why you need to build an email marketing list now. There are many ways you can build an email marketing list, but you should include at least some of the points we’ve mentioned above. This will not only convert more of your visitors into subscribers, but also help your business to grow its revenue organically. What do you do to encourage visitors to subscribe? What has had the most success for your business? How can you build an email marketing list from scratch? Email marketing is one of the most important marketing channels online. For every dollar spent, email marketing is guaranteed to offer the best return. The actual revenue you will generate cannot be guaranteed, but you can assume that the more subscribers you have on your list, the greater the revenue generated. Therefore, it is important you grow your email list constantly. If you haven’t started to build your mailing list at all; then this can seem daunting. That’s why we’ve collected eight top tips here for you to build your email list from scratch. One of the most important tips is to ensure you’ve signed up with an Email Service Provider (ESP), like Fluttermail. A good ESP allows you to control your mailing list, look for patterns and build a list within minutes. While customers don’t pay you anything for subscribing to your mailing list, they are giving you something important: their contact details. They’ll want something in exchange for that information. E-commerce stores can easily offer discounts, but other businesses need to develop a strong, compelling offer relevant to their audience. Landing pages are great online marketing tools. They allow you to provide information that sells your knowledge and expertise and then offers a deal that leads to a subscription. For instance, if you run an accountancy firm, why not offer clients ten tips about saving money. Then offer them a guide for 10 more tips for saving money if they subscribe. Every landing page you have, and every offer, you should create a unique call-to-action. A unique call-to-action can help you differentiate the offers on each page. This can help increase conversions and can appeal to different audiences who may differ on requirements. Very closely related to the above, a personalised call-to-action is one that is created based on the website visitor. These aren’t too difficult to create on websites and can be designed on specific pages. Research has shown that personalised call-to-actions can outperform generic call-to-actions by 202%. We’ve hinted at this earlier in the article, but this is one of the most important elements of your list building campaign: have more than one landing page. More than one landing page allows you to target various audiences with different priorities. You can also improve SEO by attracting more backlinks to the various landing pages. If you want to subscribe lots of people, you’ll need a lot of traffic. The average conversion rate for a page is only 2.35%. Even the top 10% of all performances only subscribe one person for every ten visitors. 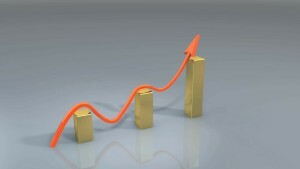 Therefore, if you want to build a big list, to maximise results you need to generate a lot of traffic. There’s only one true way to develop this and that’s to ensure that your landing page is ranked highly on Google. There are several elements to this but one way to help is to make sure there’s a lot of content on your landing page. Pages with over 2,000 words rank higher than those with less than 1,000. Current customers are more likely to purchase again from you and they’ll spend more as well. This makes them an important part of your business. Marketing to them should take priority and therefore, you should be subscribing as many current customers to your business as possible. These people can be marketed to with latest offers, complimentary services/products and even special events just for them. The advantage is that it costs less to sell to these people than it does to sell to others. Email marketing is one of the best ways to generate revenue for your business. The trouble is: you need an email list to generate revenue. If you haven’t got one yet, try some of the tips above to help you build your mailing list from scratch. Have you been struggling to build your mailing list? What tips do you have for building a mailing list? Your email marketing list is important to help you grow your business but you need to be managing it the right way. Did you know that the average unsubscribe rate for a mailing list is approximately 0.53% or one out of every 200 subscribers? Losing subscribers is not always bad; especially if they no longer have an interest in your brand’s message. Losing old subscribers means you can spend more of your time and money focusing on those who could potentially be converted into customers. In fact, every so often, you should be removing subscribers from your mailing list who aren’t interacting with campaigns. Go through your list at least once a month. Send a re-engagement email to accounts that have been inactive for six months, if they don’t respond to the re-engagement email within two weeks at most, remove them from your mailing list. 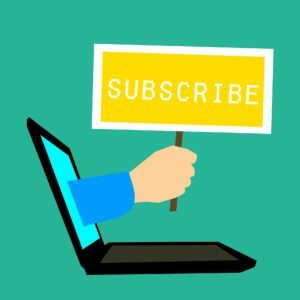 Despite your best efforts to re-engage disinterested subscribers, the bottom line is that you will lose some and without the right action, you might even end up with a diminishing list. What you need to do is grow your mailing list. Most businesses with email marketing campaigns understand the need to grow their lists, for example with whitepapers, online seminars, trade shows etc. 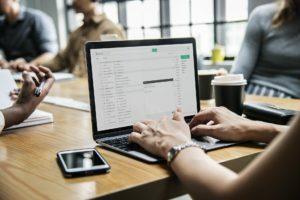 However, there are some methods to grow a mailing list, known as black-hat techniques that you should avoid. While they may get some results, their true value and legality are often questionable. So here are three things you should never do when you are growing your mailing list. Poor results – a bought list has very low returns compared to an organically grown list. Loss of reputation – your company is seen as a spammer, and this can damage your long-term prospects. Fines – Most countries have laws stating that you must have permission from the receiver when sending an email. Without it, you could face a fine. Don’t be caught out by sellers who state that their lists are clean, carefully selected for your business or any other promise. A bought list breaks laws and terms of service with most email marketing software providers. While it takes longer to grow a mailing list without buying one, it is worth the effort. If you’ve promised all new subscribers get 20% off their first order with you, don’t go back on that promise. It’s unprofessional, and your audience will abandon you very quickly. They might also post negative reviews about your business practices on third party websites which can damage your long-term prospects. If you want to offer a deal for those subscribing to your mailing list, then thoroughly consider what you can afford and are willing to offer. Don’t price yourself out of business, but it does still need to be enticing to the customer. One option might be free delivery or a free gift with their first purchase – something that adds value to the order rather than takes it away. You might think that numbers matter on a mailing list, but in truth, they don’t matter as much as you think. You could have thousands of contacts, but if none of them has the resources, need or authorization to buy your products then those contacts are useless. Instead, look to attract valuable contacts who are more likely to convert. Everyone else is just a distraction. Are You Growing Your Mailing List Right? Your mailing list is valuable. It is part of your sales process, and it can earn you a fortune if you create the right campaign and attract the right contacts to your list. If you don’t, it can be a waste of time and money. Therefore, don’t fall into bad habits and ensure you have a priceless mailing list. How do you grow your mailing list? Do you ever audit your approaches? Fluttermail is Email Marketing for small businesses. We are the fastest and easiest way to send beautiful emails and profit from the results. © 2019 Fluttermail - MailHQ Ltd. All rights reserved.